We got our daughter’s pig (Commander Yum) back from processing and we will be eating like kings for quite some time. 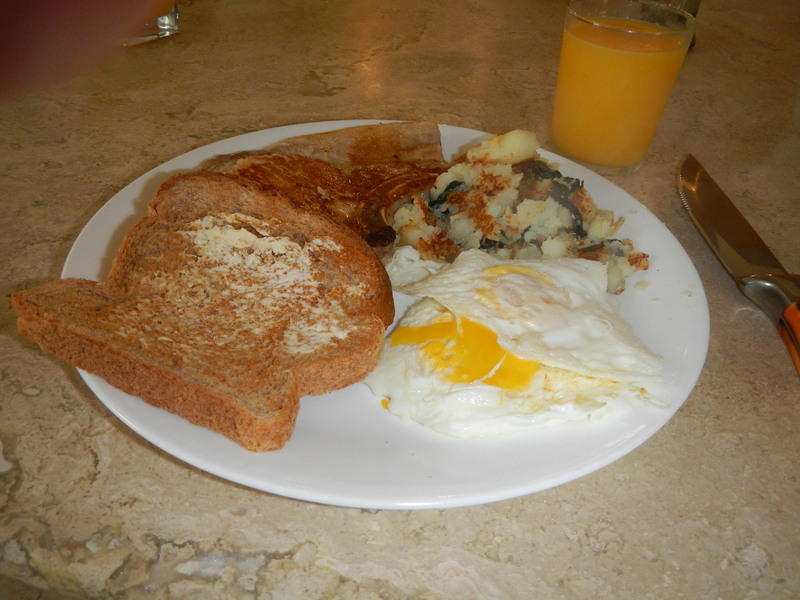 Here is our breakfast of pork chops, leftover mashed potato/kale pancakes, farm fresh eggs and toast. I really need to work on my food photos. Why did I make plain old wheat toast the star of this photo??? Your self-sustainability is admirable, and your food is real and looks good. I once read that food photography frequently does not even involve real food. For example, they use white glue instead of milk. Ewww, who wants to eat that.